Faith church exists to worship God and proclaim the message of eternal life, radical transformation, and unspeakable joy through Jesus Christ. We desire to be a place where the skeptic, the inquirer and the committed follower of Jesus can feel welcomed and comfortable asking honest questions that receive clear and Biblical answers. We do this by providing opportunities to worship God, continually learning what it means to follow Jesus, building relationships with others, and serving each other and our community. Want to find out how to connect, grow, and learn? Discover Faith Church. 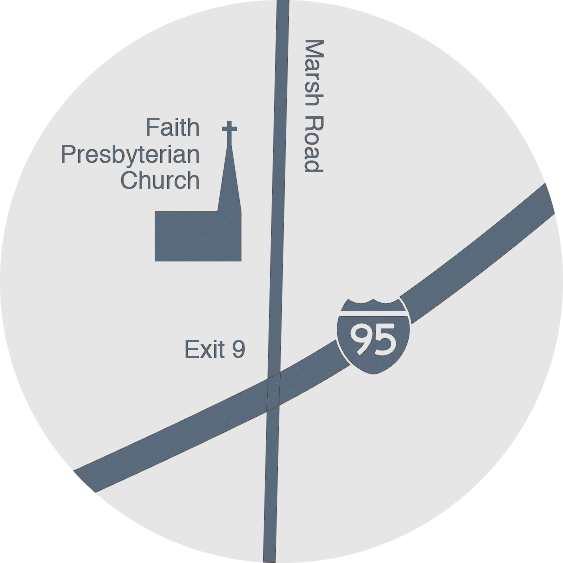 Faith Presbyterian Church is located at the intersection of I-95 and Marsh Road, in north Wilmington, DE. Get Directions. What is worship like at Faith Church? We have two styles, but we're one church with one faith. We have a Contemporary service where praise and worship is led by guitars, drums, a praise team, and a more relaxed style. We also have a Traditional service where songs are led by a traditional organ, a choir, and a bell choir. 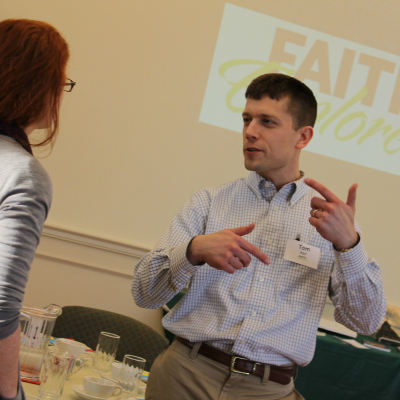 What are the most important activities at Faith for someone visiting or regularly attending? 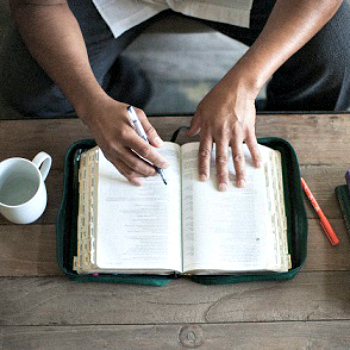 Regardless of where you are in your Christian life, there are three components we believe are essential for discovering your faith and growing spiritually -- corporate worship in one of our worship services, continual learning through our Sunday School program and caring relationships in one of our Community Groups. While there are many essential and important activities and opportunities to serve at Faith, these are the three in which we encourage everyone to be involved in. In addition, if you are investigating spiritual things or are new to our church, the best place to start is with Faith Explored, our 7 week overview of Jesus and Christianity offered twice a year on Wednesday nights. On Sunday mornings, our Contemporary worship service starts at 8:30am, the Sunday School hour begins at 9:45am, and our Traditional worship service begins at 10:45am. As scheduled, we meet for Sunday evening gatherings at 4pm or 6pm. Check our online calendar for more details. God accepts us as we are. Some choose to wear their "Sunday best", others come in more casual and comfortable clothes. Come as you are. 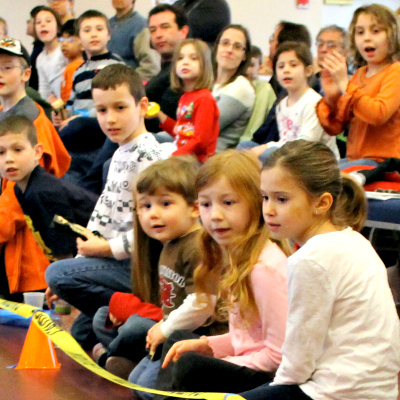 We have wonderful programs for our children here at Faith. We have an expansive nursery program with different classrooms for different ages. We have various age-appropriate Sunday School classes for school-aged children, and during the sermon portion of the morning worship services, children 4 through 3rd grade are welcome to join our Jr. Church programs where they can discover the love of Christ at their own level. On Wednesday evenings during the school year, we also hold our Pioneer Clubs program for children from 4 years old through 6th grade. We also have a wonderful Christian preschool, kindergarten, and after school care program. Get more About Children here. Is Faith Church handicap accessible? Yes, we are. Our renovated buildings include several accessible entryways, handicap accessible restrooms, and two elevators. Our sanctuary seating accommodates wheelchairs, and assistance is provided for those with visual and hearing impairments during the Sunday services. In a Presbyterian church, the daily administration and spiritual oversight of the church is managed by Ruling Elders, Teaching Elders (pastors), and Deacons. We encourage you to contact one of these deacons/esses directly if you need to get in touch with them. Their contact information is in the church directory or you can email the church office. 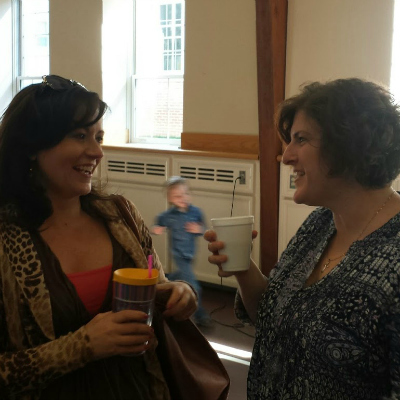 Deaconesses are volunteers that work with the deacons in congregational mercy ministry.